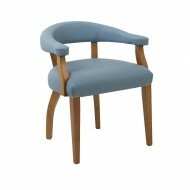 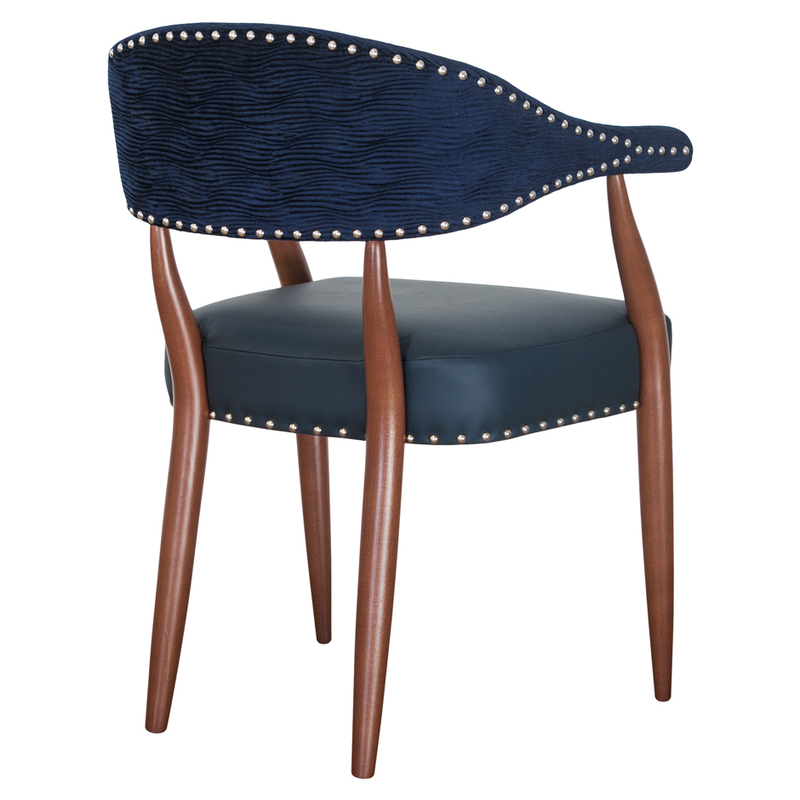 The Maria Armchair is made of a Beech frame and can be polished to your specified colour. 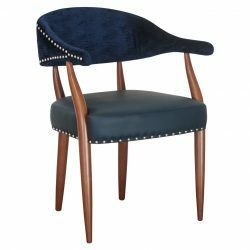 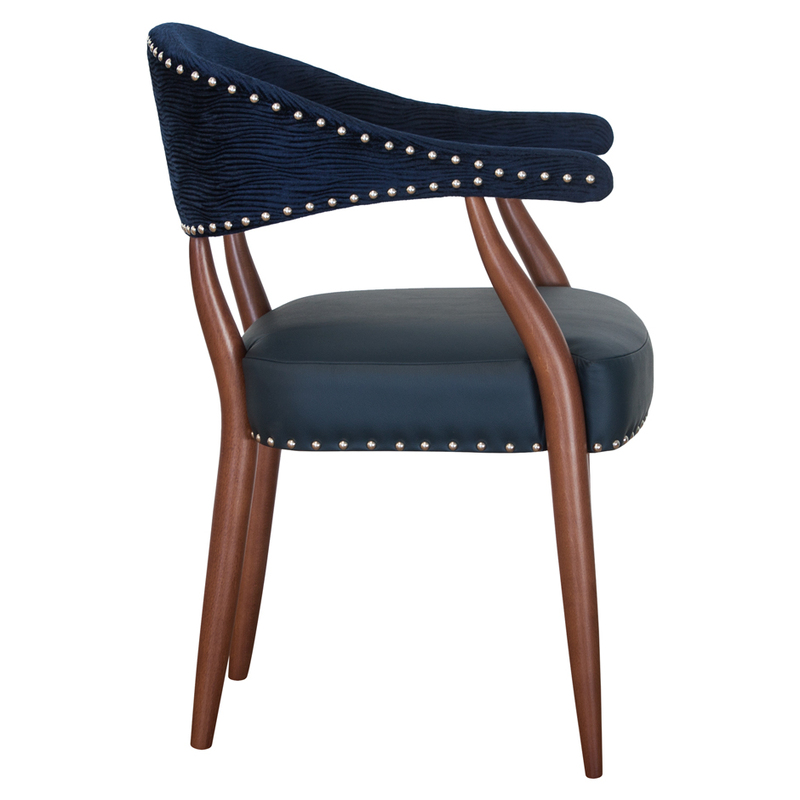 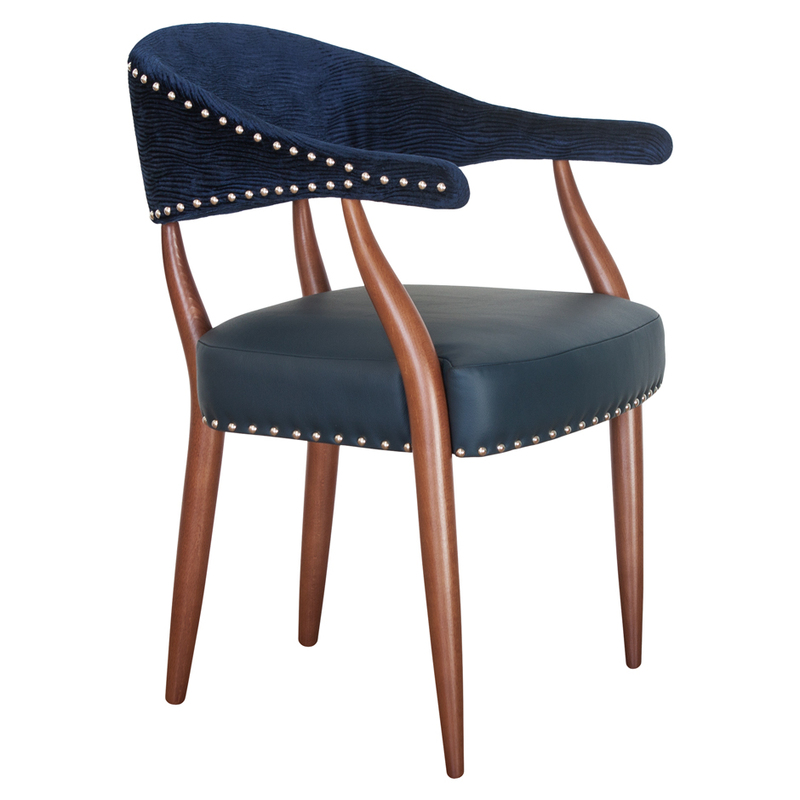 Upholstered in any fabric, Leather or Faux Leather. 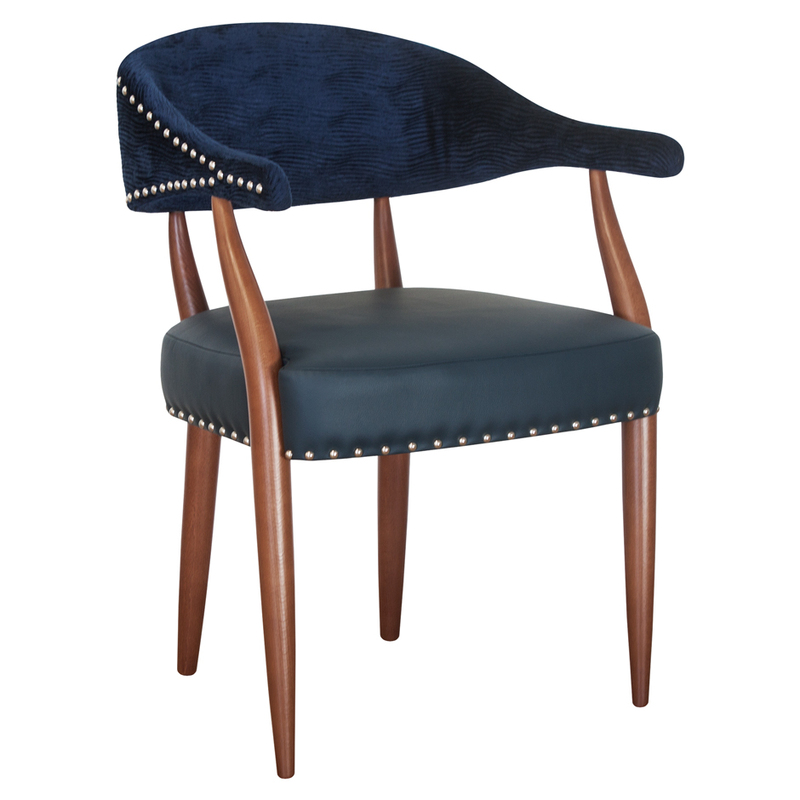 Stud Detail optional. 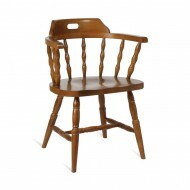 Complimented with a High Stool.